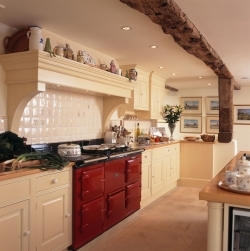 Often the centre of a kitchen, but not always the easiest to clean – get your Aga cooker back to that ‘showroom’ look. It’s customary to turn your Aga range off in the summer months for cleaning and maintenance, but giving an Aga cooker its annual deep clean is a big job, and not for the faint of heart. It’s vital to have all heat-storage cookers, including Aga range cookers, cleaned thoroughly at least once a year to ensure that they continue to run smoothly – morning, noon and night. 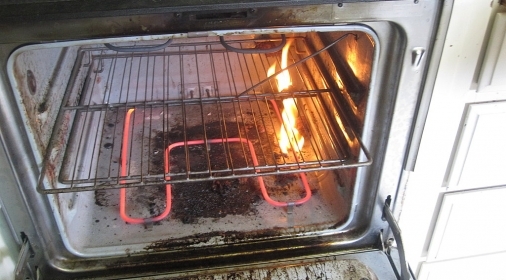 Three seasons of use often leaves range cookers with hard to remove grease stains and burnt on fat in tough to reach places. And being both large and fairly intricate in design, completely cleaning one yourself can be an arduous task. It’s quite possible to spend a whole day trying only to find you’ve left smears all over the outside, and the inside still has difficult to reach carbon deposits spoiling the end result. Let’s not even mention the potential mess you might make whilst you clean! At Ovenclean, we understand that your Aga range cooker takes pride of place at the heart of your kitchen, and we intend to help you keep it that way with our Aga range cooker cleaning service. Our specialists will clean your Aga range cooker inside and out, whilst working to protect and enhance its enamel finish and get it looking as good as new. Our range cooker-friendly products give great results with all kinds of range-style ovens, including Smeg, DeLonghi, Britannia and Lacanche. 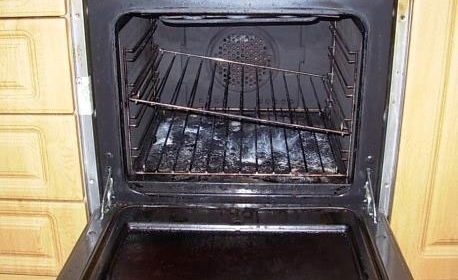 Get your range cooker cleaned by Ovenclean and we’ll take care of the job from start to finish, with no mess left behind. Ranges do vary significantly in size depending on their make and model, and because of this so will the time taken to complete our extensive cleaning process. We tailor every clean accordingly to ensure we have enough time to restore your range to its former glory – call us on 0800 840 7127 or complete our online form for a free quote.